This was so much fun to make. I was looking for something new and unique for a doll, and almost immediatly this popped into my mind. Perfect! I love the wings <3 <3 Really gorgeous job! So pretty!!! Love those wings!!! Wow! This is so accurate! You did an amazing job on her. 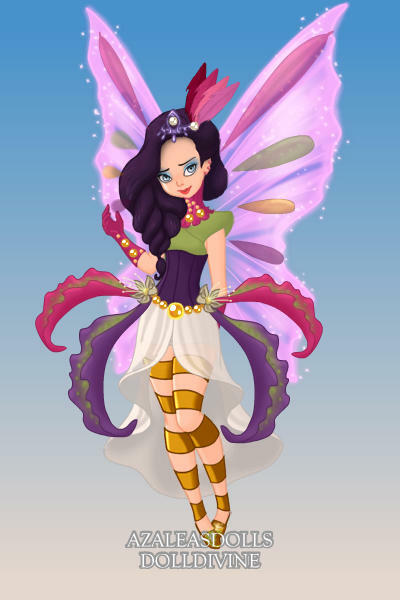 She has to be the prettiest Pixie Rarity I've seen!!. Her hair, outfit and wings are wonderfully done! I pick this one out of your 3 entry to crown! A pretty crown for this deserving doll! Omw? LOOK UPON ME, EQUESRTIA, FOR I AM RARITY!!! aH! i LoVe It! So GoOd!